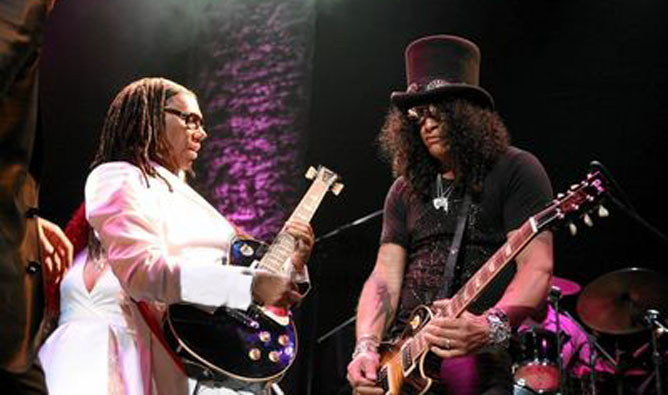 One artist had his fingerprints all over my lifetime of listening music experiences, Nile Rodgers. Ranging from my first musical purchase at age 13, with vinyl single 45 of Duran Duran’s the Reflex, through age 41, with an iTunes digital download, of Daft Punk’s “Get Lucky”, Rodgers had applied his signature touch of colorful tones, driving rhythms and celebratory style. In retrospect, he had shaped months upon months of audio to my brain. At over age 60, this writer, producer, musician, cancer survivor, had transcended 1970s’ disco, 1980s’ arena rock, and some of the biggest acts in contemporary music. 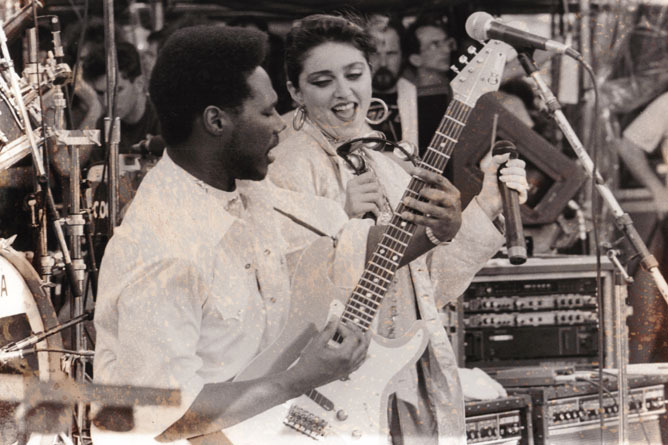 Nile Rodgers had pushed some of the 1980s’ biggest acts into superstardom from Duran Duran, Madonna, and the B-52s. 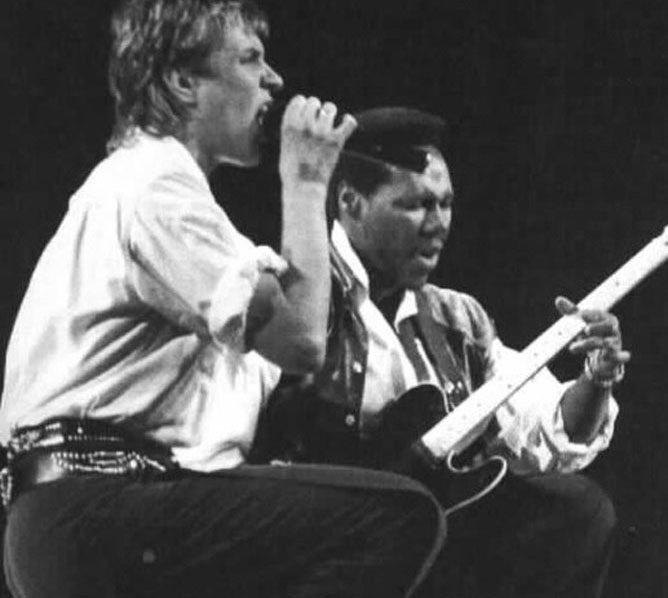 With established acts like David Bowie, Robert Plant, and Stevie Ray Vaughn, he had helped channel another aspect of their personas’ but, with a familiar feel. All of these creative efforts had seemed small in comparison to this summer’s mammoth hit “Get Lucky.” With a release back in May, still lingering in the Itunes Top 25 this week, it had only taken him two hours to write that track. This single had made Daft Punk’s Random Access Memories, their best selling album to date. Even more amazing, his humility, he had not even called “Get Lucky” his own music. Meanwhile, he had been a fixture in Daft Punk’s promotional art like the video still below, as well as countless other cameos for other artists. I can’t tell you there had been some higher level of aesthetic in my appreciation for his works, except for a undeniable feeling of pure fun. Perhaps that had been the secret to his longevity, a higher love. As I had run down some of this man’s creative credits, hopefully you had been reminded of some of that floor thumping fun too. This entry was posted in Music and tagged B-52s, Daft Punk, David Bowie, Duran Duran, Le Chic, Madonna, music, Music Producer, Robert Plant, Sister Sledge, Who is Nile Rodgers? Why you already know him.. Bookmark the permalink.